Welcome to Video Dance Floor Hire. Arriving Soon - We will keep you posted. 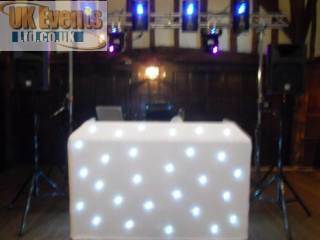 We now have on order a full Video dance floor which we are looking to take receipt of towards to end of the year in time for Christmas bookings. 3 Years ago we bought the first and the largest RGB pixel dance floor in the country. 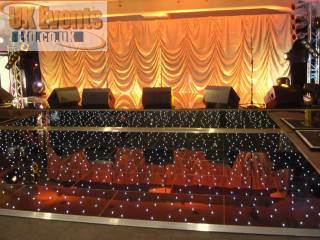 It's been so successful that we have now decided to offer a high definition video dance floor. 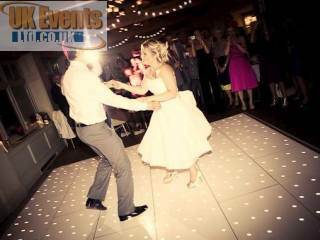 Just like a large screen TV or projector, the video dance floor can create any effect, text, video or animation in high quality. 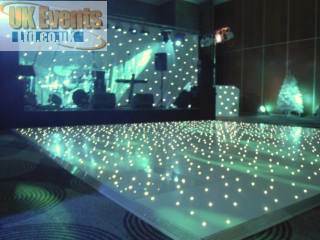 Up until now, video dance floors have been extremely expensive. With technology moving at such a high rate, we have managed to secure a video floor which can be hired at just a fraction of our competitors rate card. We are looking to restructure our prices and products to ensure our rates are highly competitive without compromising on quality. Once we taken delivery of our video floor, we will be looking at downgrading the RGB Pixel floor to a standalone generic effects floor only. This means we can focus our time, training and technical staff to the video floor to ensure we have highly trained operatives and a floor that's capable of pretty projecting anything you require. Imaging hiring this floor for your wedding. As guest sit down for the wedding breakfast, we could project a slide show of all of the images or video footage taken that day for all to see. 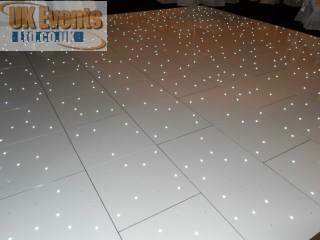 We believe this floor will be a great success for corporate functions, Birthday parties and special events. 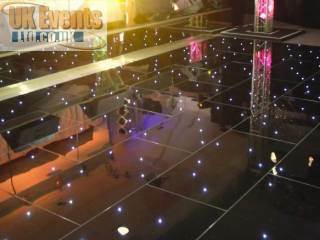 Our RGB Illumilok Pixel dance floor designed, tested and now available to hire. These floors are very similar to the starlit dance floor range. 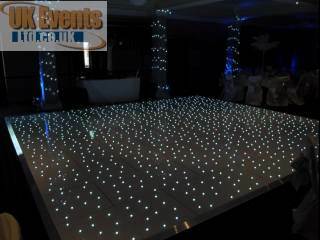 The new intelligent Illumilok RGB starlit dance floors will hold 16 bright LED lights every 2 square feet. 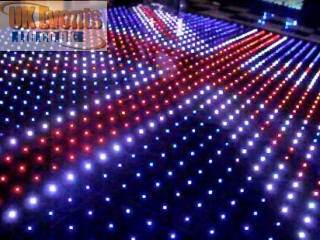 The LED lights are completely controllerable allowing you to project patterns and images as well as funky effects. 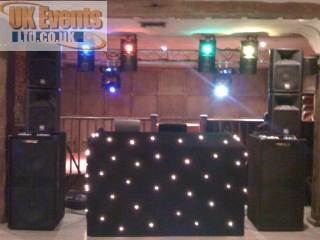 Best of all, The LED lights are colour changing meaning you can have the dance floor set to any colour you desire along with your desired effects. Ask one of our team for more information on this new and exciting product.